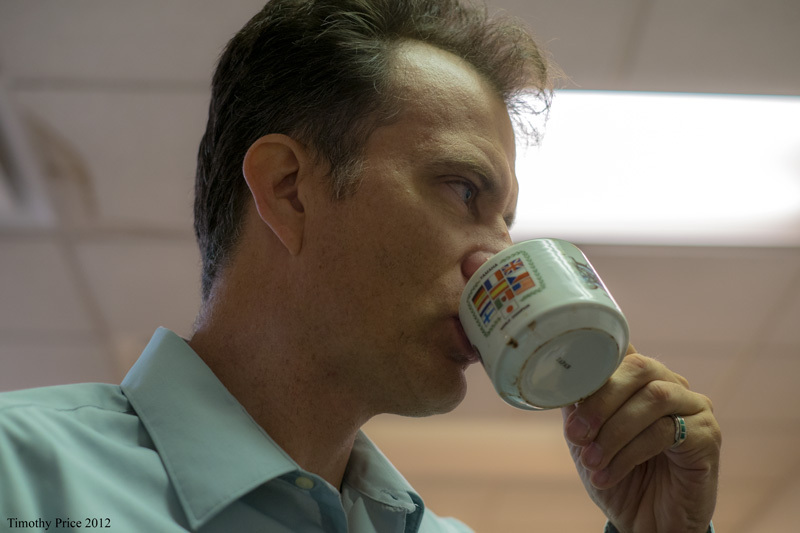 If $100 for a cup Civet Cat coffee is out of your price range, or you’re looking for a new coffee experience beyond beans extracted from weasel crap, try making Cucaracha Crunch Coffee. It’s easy and costs no more than what you pay for your daily dose of java. 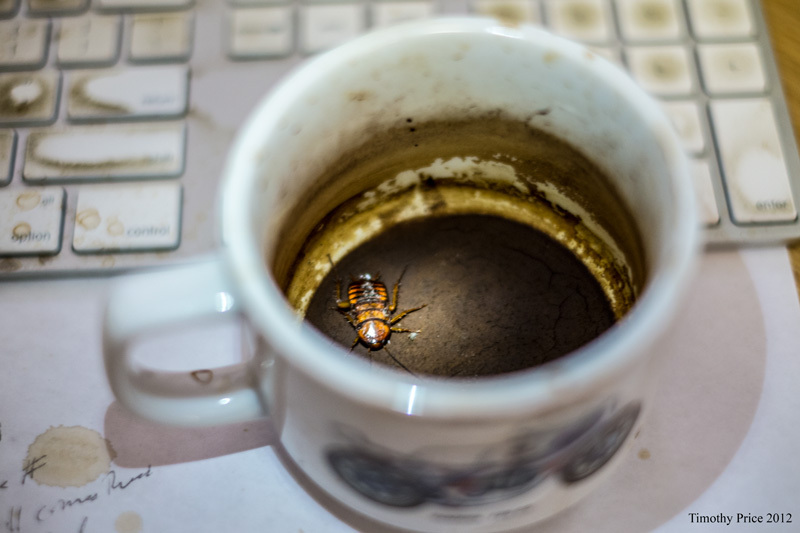 You can do the “found method” (pictured) where you leave out a coffee cup with a little sludge in the bottom, and if a cockroach happens to crawl in your cup to get a buzz (pictured), you pour fresh coffee on it, let it swim around in the coffee (pictured), then sip and savor the coffee (pictured). Eating the cucaracha is optional. 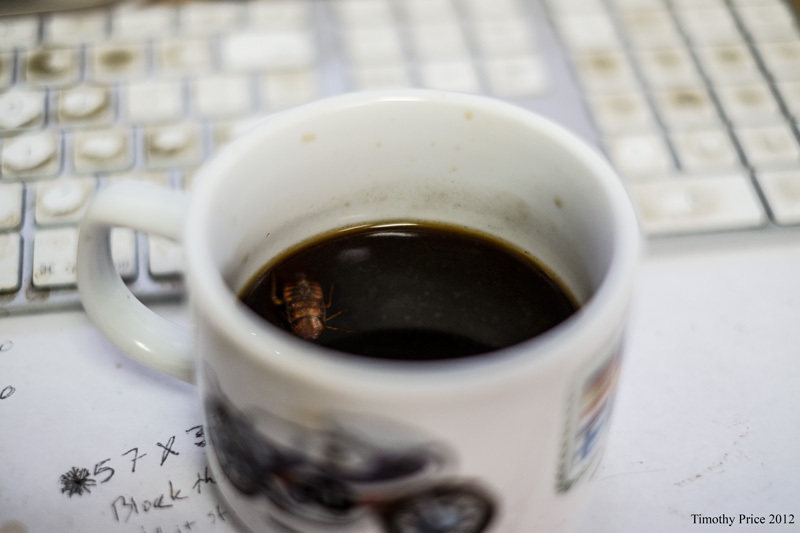 The “Hunt and dip” method involves hunting down a cockroach, catching it, and dipping it in your coffee. Either way, you get a whole new coffee experience, and dispose of a few cucarachas without using poison.